1996 Olympic Torch Atlanta Games. 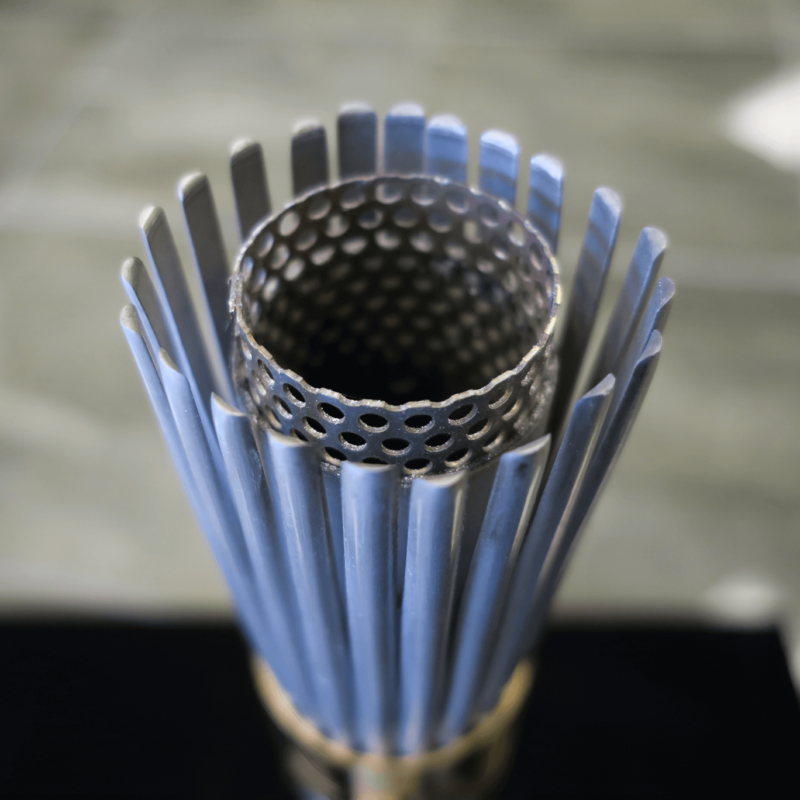 Designed by Peter Mastrogiannis, the torch features 22 aluminum “reeds” intended to represent the number of times that the Games had been held. 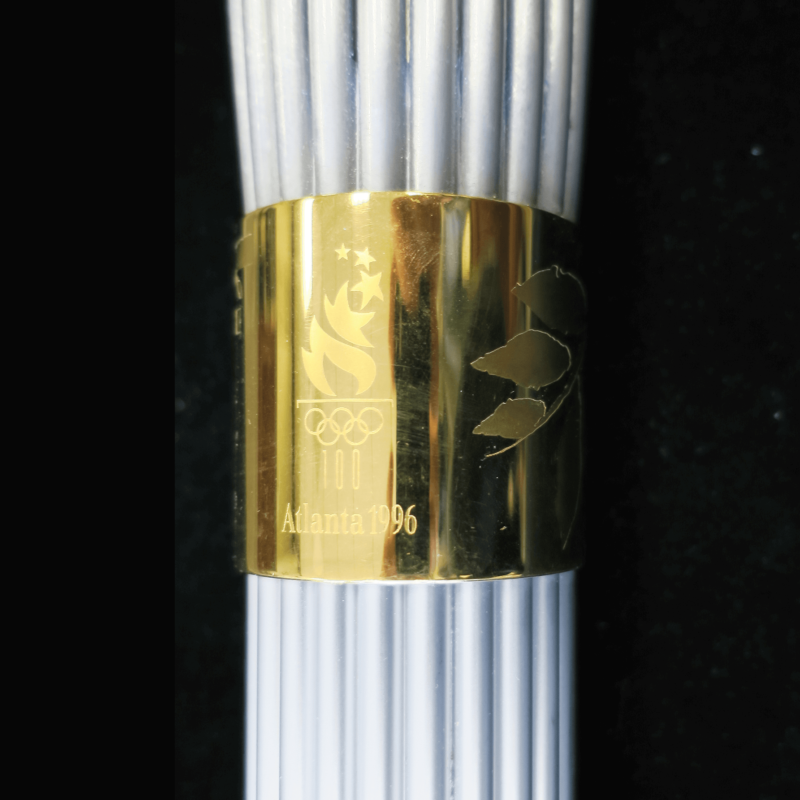 A gold-plated band towards the base of the torch features the names of all 20 host cities from 1896-1996 (including Atlanta), while the logo is etched into another band near the top. 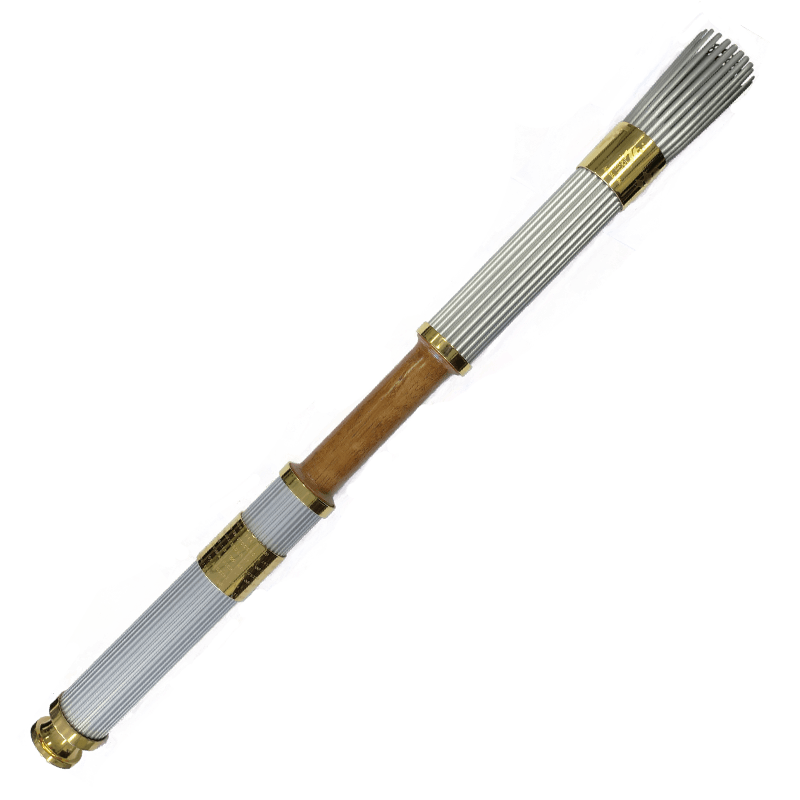 The handle, made of Georgia hardwood by Hillerich & Bradsby Co, maker of Louisville Slugger baseball bats, is found near the center of the 76 centimeter (30 in) torch. It weighs 1,600 grams (56 oz).